Some days, I need a simple journey to write about. Often it’s when I’ve had a busy day and nothing in the day captures my interest or my curiosity. Sometimes, as was the case today, it’s because I’m a bit under the weather. Allergies and a stomach bug teamed up against me today. So what to do? Check out bizarre holidays online for inspiration. I was amused to discover that today is Wear Brown Shoes Day. 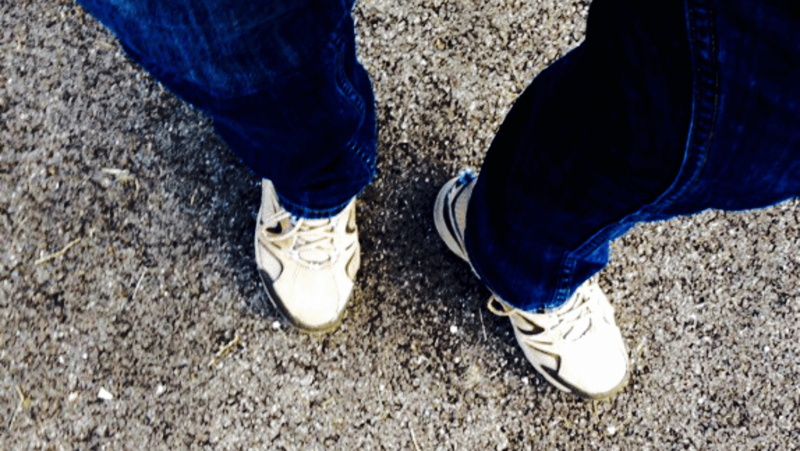 Fortunately for me, I happened to be wearing my brown walking shoes today! The website didn’t have any information about the origins of this holiday. And simply suggested wearing brown shoes, to celebrate. 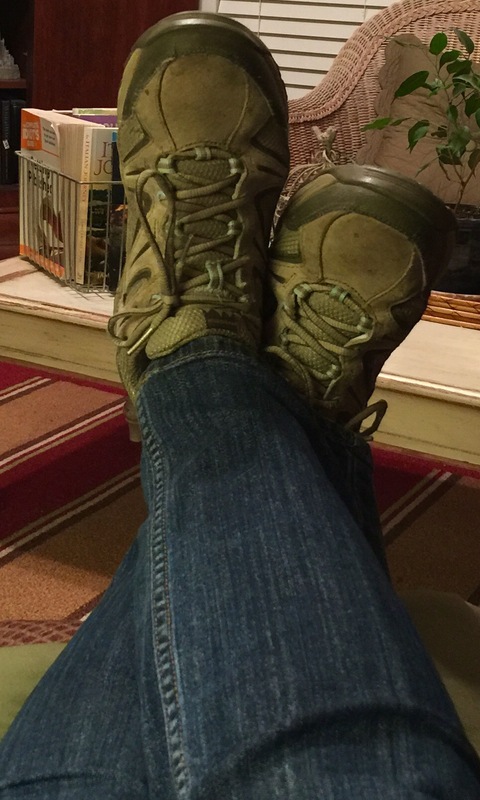 As I was resting and sipping on hot tea, I studied my shoe clad feet. Curiosity did indeed kick in, and I started looking through photos, searching for my comfy pair of shoes. And that was a wonderful and memorable journey to take today. Much like looking for the man with the striped shirt in the Where’s Waldo game, I engaged in a Where are my Brown Shoes search. 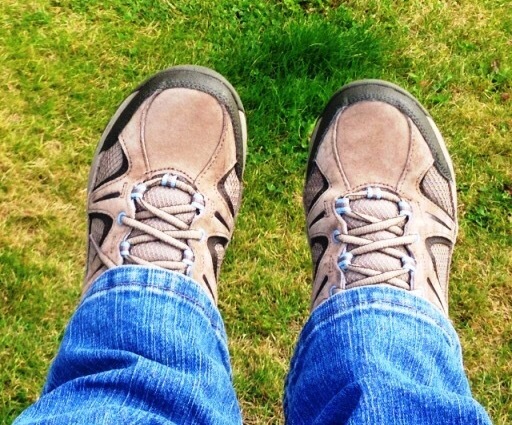 The first pic I found of my brown shoes, purchased to accompany me to Scotland in July, 2014. 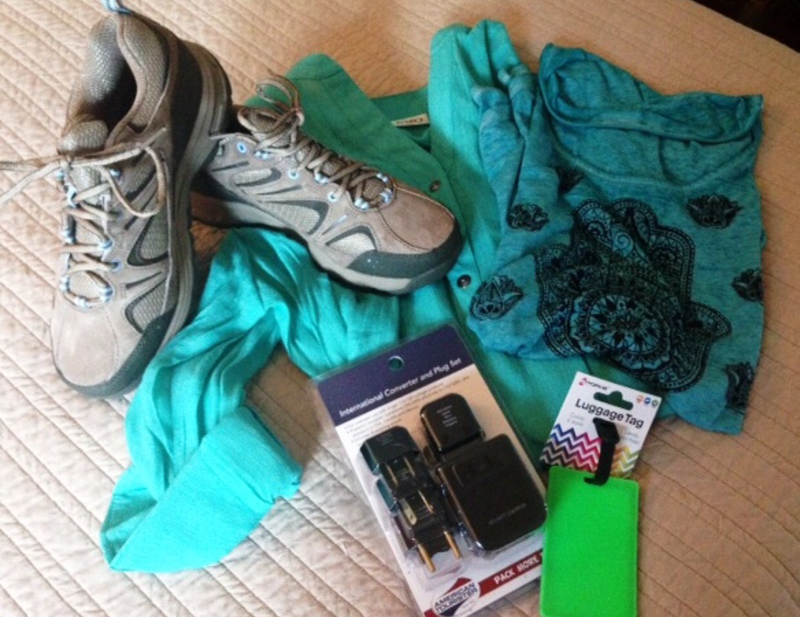 I needed a good sturdy pair of walking shoes, as I knew we would be walking a lot. 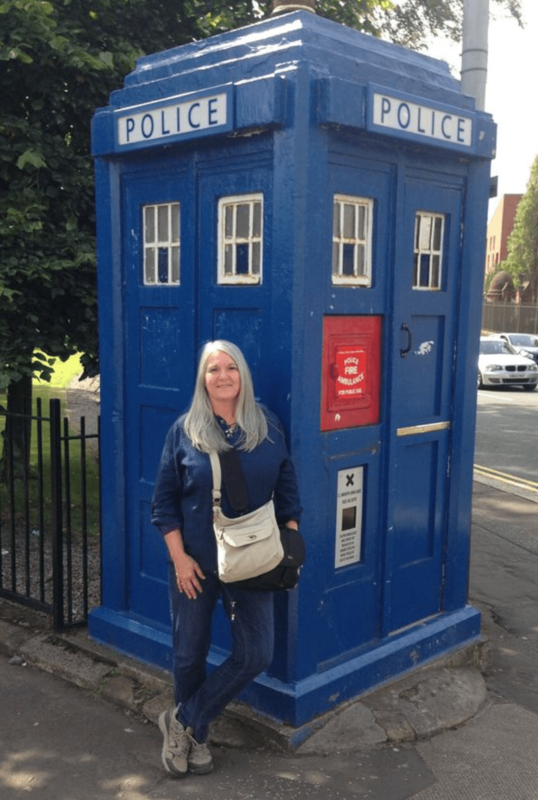 From a blue police box in Glasgow, which has even more significance to me now that I’m a Doctor Who fan…. 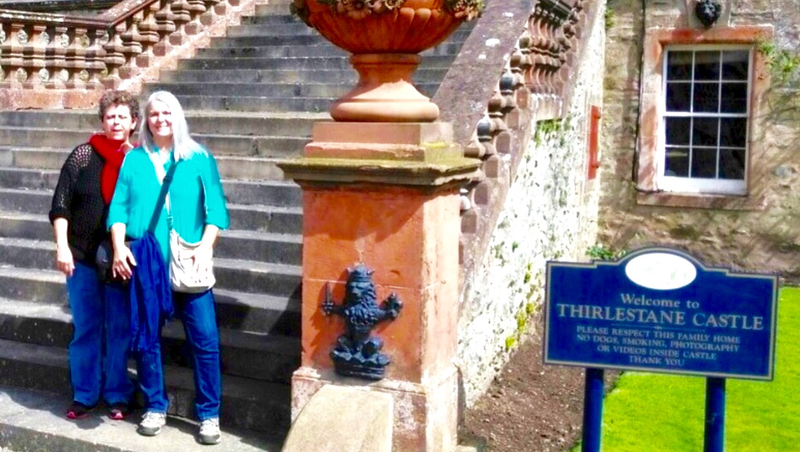 To Thirlestane Castle in Lauder. We walked from the Lauderdale Hotel, through the village, and approached our ancestral home by way of a very long driveway through woods and rolling pastures. My dear cousins, Mindy and William, walked alongside. The brown shoes were on my feet when I did a happy dance last year through a public park. 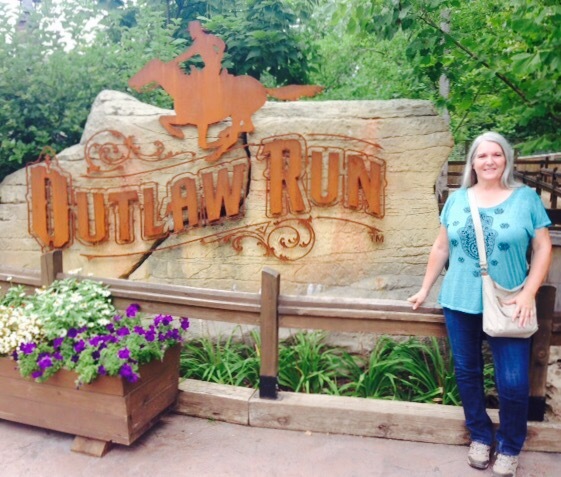 And when I went on a crazy roller coaster ride at Silver Dollar City in Branson. 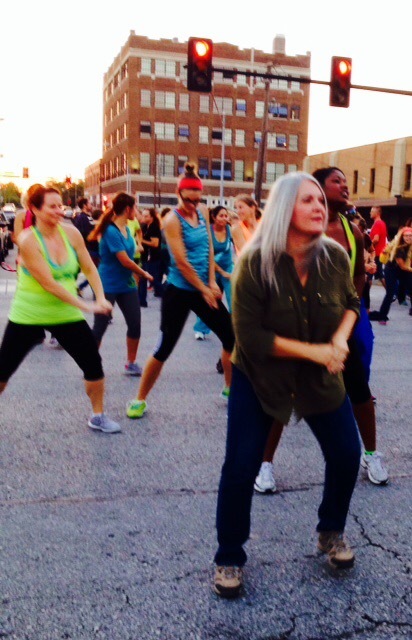 They helped me to Zumba in downtown Joplin. 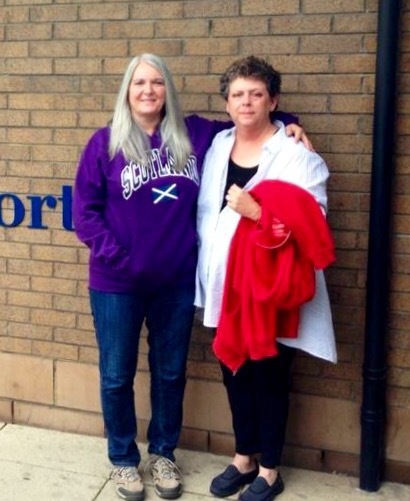 And often, standing with family, the brown shoes are on my feet, unnoticed, but supporting me. In fact, the brown shoes have been edited out of many photos depicting a first, or another journey. I didn’t consider them important enough to include. Or laughed that my feet ended up in the photo and cut them out. But I thought about those shoes today and realized how significant they have been. These brown shoes have journeyed with me. Not every day. But often. They accompanied me on my first international flight and carried me across a country. 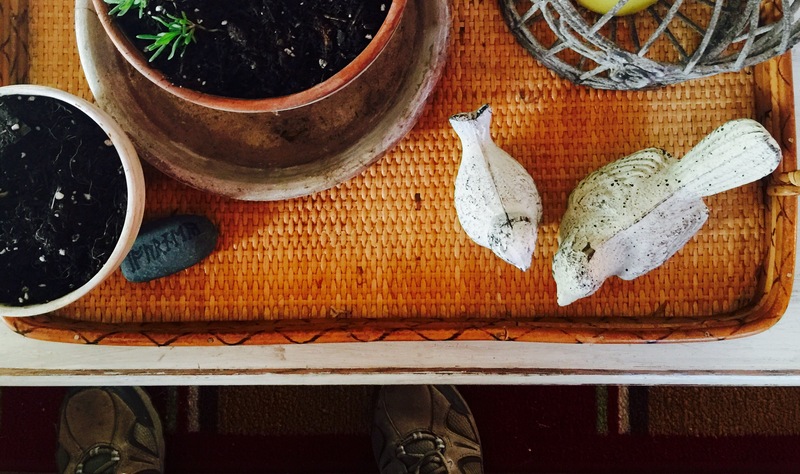 I’ve walked trails in them, danced, propped them up as I stared into a fire. 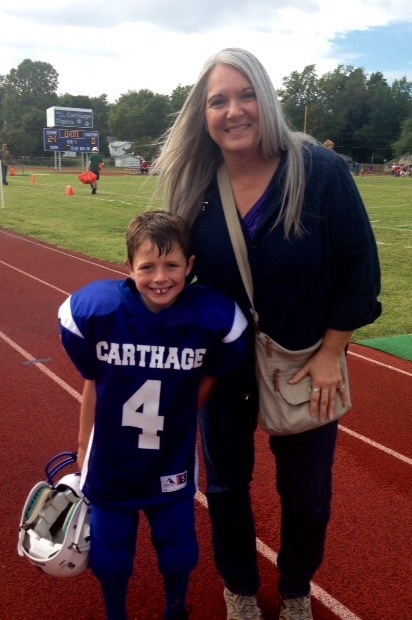 As I’ve played with grandkids and stood with family members, they supported my feet. They’ve seen a lot of miles, these brown shoes. They aren’t spotless, unscuffed, or new anymore. So many memories wrapped around my shoes. Happy ones, sad ones, adventurous ones. What started as a lighthearted look at my brown shoes today became an exercise in gratitude for all the journeys we’ve shared together. My eyes filled with tears, in appreciation. I’ll never toss my brown shoes. I may wear them less. I may wear them out. But they will always have a place on the floor, near my bed, and in my heart. Wear Brown Shoes Day…what a surprise it turned out to be. Wear brown shoes…oh yes, I will.